I’m not gonna talk about how important it is your logo for your brand because if you are reading this chances are that you already know it. What I want to share with you today are the basic things that you can not miss when choosing a logo for your brand. It always happens that we get so excited about the idea of having a new logo that we forget who is it for. It’s true that our brand might represent somehow ourselves (specially for entrepreneurs and handmade businesses), but that does not mean that we must design a logo that only appeals to us. We need to think what our ideal clients like too. 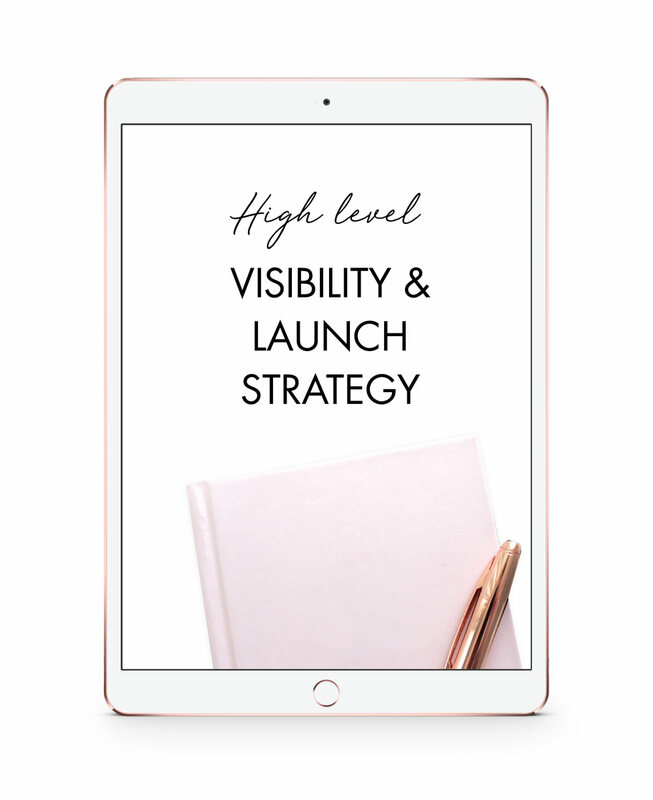 If you haven’t done that yet, download my free workbook to analyze and study your ideal client needs, so that you can have it as guide when it comes to picking a logo. Following trends might be okay for some parts of your business, but not for branding. A logo design must be something that you use for long time. If you keep changing it every now and then, nobody will remember it and you will only create confusion. Try to find a design that can last for some years, not something trendy. It can happen that you get bored of it very quickly or that you pick such a strong trend that many other businesses get similar logos to yours. And nobody wants this, right? It happens sometimes that clients ask me to add EVERYTHING in their logo. They want an illustration that represents with all the details what they do or what they like + a long name + a tagline. While it’s fine sometimes to add an illustration to your logo, like for example the branding design I created for Cristina Martinez Makeup, I tend to recommend minimal logos. Even for Cristina, we used that version for her homepage, but I also created an avatar and secondary logo so she can use in other places such as Instagram. The essential for your logo is your name. We can create an icon that complements your brand and add also a tagline, but as simple as possible. I worked once with Yves Zimmermann (an amazing graphic designer from Switzerland) and he could not stop talking of how amazing it was the logo from the Deutsche Bank). As you can see, the icon of this bank is just a diagonal line, but if you study the idea behind it, the diagonal is the minimum expression of the success increasing line from economics graphs. Even if you don’t know what it means, don’t forget you will need them at some point. To print your logo in your business cards or add it to your website you can do it easily from a .jpg or .png file, but when it comes the day that you want to make a vinyl decoration for your shop, or stamp your logo in t-shirts, pens, etc… You will be asked for a vector version of your logo. I always send my clients all the version of their logos, including the vectors; but if you are planning to design your own logo or work with any other provider, don’t forget to ask for it! A Style Book is a guide of how to use your logo. It can bee as simple as a folder with your logo in different format files and resolutions, fonts and notes about your corporate colors, but the more information you keep the better. You don’t want your logo to be used in a random color or with a new font. I hope all these tricks help you to choose a logo for your new project, but if you need any help or professional advice I’ll be glad to give you my opinion. Just drop me an email to claudia@heartmade.es and let me help you with one of the most important decisions for your brand!